Chase: I was born in Seattle’s Ballard neighborhood and grew up in the Cascade foothills, fishing and spending an obsessive amount of time in the woods from a very young age. I moved back to Ballard after college nearly ten years ago, in part to be able to fish for salmon from my kayak before work. Chase: I’m the Communications Director for Conservation Northwest, a regional non-profit and Washington State Affiliate of the National Wildlife Federation. 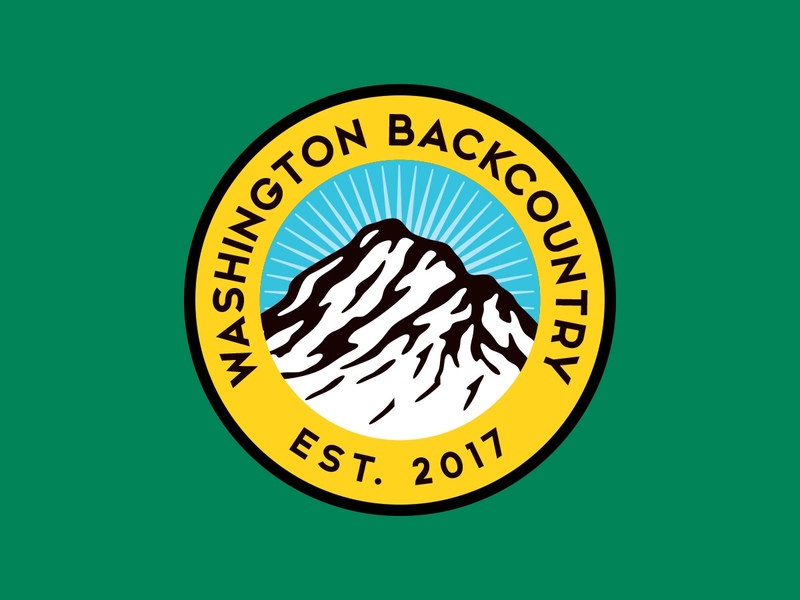 I also volunteer as the Conservation Chair for the Washington Chapter of Backcountry Hunters and Anglers and as a board member for the Wild Steelhead Coalition. My professional background is in public relations, lobbying and political campaigns. Chase: My wife Jen, who’s been known to out fish me, and my German Shorthaired Pointer Gillian. Chase: I started hunting upland birds as a kid, mostly pheasants and grouse, and tagged along on a few hunts for ducks and deer. But as a teenager I had a bad road hunting experience and developed an impression of some hunters as lazy, out-of-touch slobs. That might come off strong, but frankly I think most of us have encountered hunters who fit the bill. With this in mind, I initially took my outdoors passion in different directions. While in college at WSU and for the first few years after, I spent countless weekends backpacking the wilds of Washington and road tripping to hike other parts of the West. This evolved into mountaineering on Mount Rainier, backcountry snowboarding and dirtbagging around Stevens Pass and Crystal Mountain, and pursuing Turns All Year with my splitboard. Fishing was always a large part of my life, especially for salmon and increasingly fly fishing, but hunting simply wasn’t. This changed in my mid-20’s as backcountry or mountain hunting became more visible in the mainstream outdoors culture. I saw guys like Steven Rinella, Randy Newberg and Remi Warren hunting in the type of terrain I was spending my weekends hiking and climbing in—a far cry from the image of road hunters throwing beer cans out of their ORV that I had in mind. And their messages about public lands, ecology and wildness fit with my own growing conservation ethic. Thanks to friends, I was already dabbling in duck hunting, relishing the hardscrabble DIY way we hunted even if success was often measured in just a bird or two. I was brought up catching, cooking and eating salmon, crabs, shellfish and wild mushrooms as much as possible. Hunting quickly became a way to add to my harvest and connection to the land. I figured I knew how to travel long miles in the mountains through all manner of terrain and weather—I had to find out what this backcountry hunting thing was about. Chase: Though he’s an experienced hunter, fishing and sports were my dad’s focus when I was younger. My grandfather is a wealth of hunting knowledge and experience, and while he can no longer hunt in the type of terrain he used to, his stories and advice have been invaluable as we’ve returned to the fold. I’ll always be grateful for hunting bringing the three of us closer. I had plenty of knowledge from these two to draw on, a head start from a few friends who hunted and the memories of my childhood trips, and a solid set of wilderness skills and gear. This was just as Sitka was hitting the scene, and other backcountry hunting brands were a ways off, but I had most of what I needed to hunt and camp in any condition in my backpacking and mountaineering arsenal. I had recently run a marathon and figured I could move faster, farther and more efficiently in the backcountry than just about any hunter out there, so surely I’d be successful, right? Wrong. Chase:The first season I really dedicated myself to deer hunting was a real learning experience (really, the first few seasons were). I took a week off to hunt and fish the breaks near Hells Canyon, an area where I’d previously spent time fishing and hiking, solo for a few days then joined by my father, grandfather and a friend who’d taken a nice muley nearby the year before. I don’t want to know how many deer I spooked in my haste those first few days. I walked too fast and too loud up promising ridgelines. I traveled too far with my feet and not far enough with my eyes, and never fired a shot that season. But I enjoyed every minute of it, and at least the fishing was good. The next year I found and scouted a great area for the High Buck Hunt, and blocked off time to get way off trail into some promising and nearly inaccessible cirques. While that zone is still one I dream about, its inaccessibility proved to be a liability when a snowstorm rolled in the night before the opener, nearly trapping us due to vertical cliffs below and only steep chutes and loose scree for exits. We carefully bailed for lower elevation and bumped some deer in the process, but again, my overconfidence had got the best of me. I kept at the High Hunt, but my breakthrough came during general seasons in the Okanogan, hunting DNR and Forest Service land rich with mule deer and whitetails, as well as other hunters. Helping my buddy dress and pack deer, encountering many does and younger bucks daily, and glassing up a few bruisers, including some fleeing ahead of other hunters, were lessons in stealth, terrain and wind management, and general big game spookiness that I badly needed. I learned that while speed and endurance are assets at certain times, it’s when you go slow, keep your focus, and look everywhere that you really see game. Chase: Last season really stands out. It was my third year hitting the High Hunt hard, and on the third full day of a solo hunt I took a great muley six miles from the trailhead. After fruitlessly glassing alpine meadows and avalanche slopes where I’d seen bucks on a scouting trip, late on my second day I was creeping through burnt timber and came upon several does and a spike in a dark little draw. Staying motionless except for my binos, I let them wander off and soon spotted a gnarly-looking buck staring back at me from the opposing ridge at a little under 200 yards. The wind was swirling and he knew I was there, but couldn’t quite decide if I was danger. I moved ever-so-slowly trying to find a shot through the dense timber between us. It simply wasn’t happening, and the buck was about to bail over the ridge. I watched him go, planning to approach the area from a different direction the next day. I silently exited the way I came, returning to my tarp tent just as the wind began to howl and sleet started coming down. Another September storm would keep me up most of the night, and I awoke to fresh snow on the ground. Having seen the deer later in the day, I decided to sleep in, drink coffee and pack up my camp. I’d take the time to hunt the area meticulously, get the wind in my favor, and give the draw a thorough sweep before camping closer to the truck for my last night. Few things in hunting, and in life, are better than when a well-laid plan works out. By noon I was working along a ridge scanning ahead and down into the area where the buck had bailed the day before, wind in my face and a light snow coming down. Suddenly, my binos were filled with antlers, and an easily legal buck was quartering towards me at 100 yards. As he went behind a stump, I propped against a tree and fired when he strolled into a small clearing. He jumped, and I hit him again to be certain. I knew I had connected, but the speed he’d ran off with made me nervous. After a long few minutes, I walked over to find a four point with plenty of mass and character laying not 20 yards from where I’d shot him. I notched my tag, called my dad, snapped a quick picture, and took the time field dressing that the cold temps allowed. Those hours alone on the mountain turning that buck into neatly packaged quarters and loins were some of the best of my outdoor career. I’d taken him alone and on my own terms, in a wild corner of the North Cascades that I’ll always cherish. I did the packout with buck and camp in one brutal trip through mud, snow and steep switchbacks, smiling and singing to myself like a crazy person the whole way. Chase: Generally, it’s finding time away from my family and demanding professional life to hunt for extended periods of time. A weekend hunt is rarely a recipe for success in Washington, and between family, friends, work trips and time spent fishing, it can be difficult to block out the longer trips that really increase the chance of success. The more I hunt, the more I feel 4-5 days is an appropriate minimum for a real shot at success. Chase: My impatient feet. I enjoy glassing, but after 20 minutes my toes start tapping and I’m ready to dive into the next draw or scale another ridgeline. It took years to learn to slow down, make a plan, read the conditions and look everywhere before making another move. Still, I don’t mind moving slowly, and I love creeping like a ninja through burnt timber or old-growth forests. Chase: Instant miso soup packets. I got hooked on them winter steelhead fishing, and depend on them for a hot dose of liquid, salt and comfort before getting in my sleeping bag on a cold backcountry night. Chase: The edge country on the eastside of the North Cascades, where big mountains and steep slopes of ponderosa pine meet open ridges, meadows and the first high sage of the Eastern Washington shrub-steppe. The diverse mix of cover and terrain makes this a fantastic landscape to hunt in, and important habitat for mule deer, elk, and other species such as Canada lynx. Chase: Go slow, then go slower. Chase: You can find me @chasegunnell on Instagram, @wildwildnw on Twitter. I write for a variety of conservation blogs and media publications, most of which gets shared on one of those channels. We want to thank Chase for sharing his insight and thoughts. If you want to know more about Chase and what he does, be sure to follow along on his journey by checking out his social media accounts. If you enjoyed reading the blog or can think of anyone that could benefit from the insight given, please share it with others. It is “OUR” job to continue the growth of the hunting and outdoor community. Be sure to invite someone to start hunting with you. You never know what type of impact it may have for them and their life. If you would like to be featured in the blog series or know someone who should be, let us know by emailing us or sending a direct message on Instagram. Tell us your thoughts on the article below in the comment section. Don’t forget to subscribe!